It’s that time of the year. The time when you spend hours on end trying to find the PERFECT gift for that special someone in your life. Here are a few things we think the foodies, grill gurus, and aspiring outdoor cooks will love to see under the tree this season. 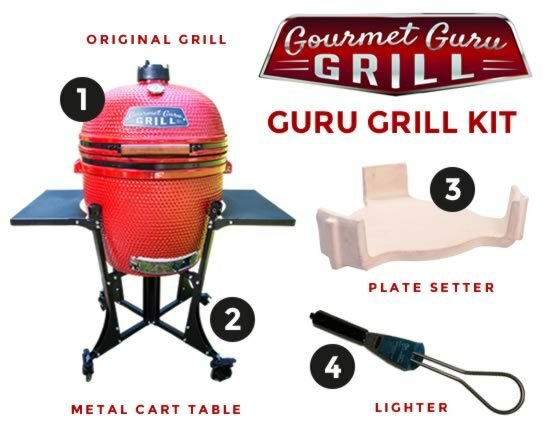 The Gourmet Guru Grill Kit is the best option for those getting started with ceramic grilling. 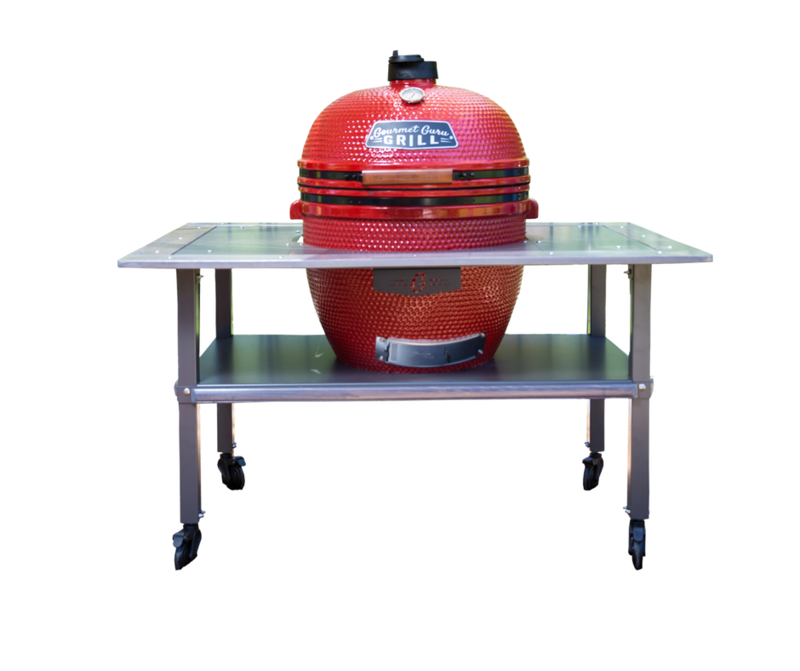 The kit includes our Original Guru Grill, the Guru Metal Cart Table, the Guru Plate Setter, and an electric lighter. By getting started with a kit, you take the guesswork out of putting the things needed to get started together. It’s all done for you and at an affordable, discounted price. 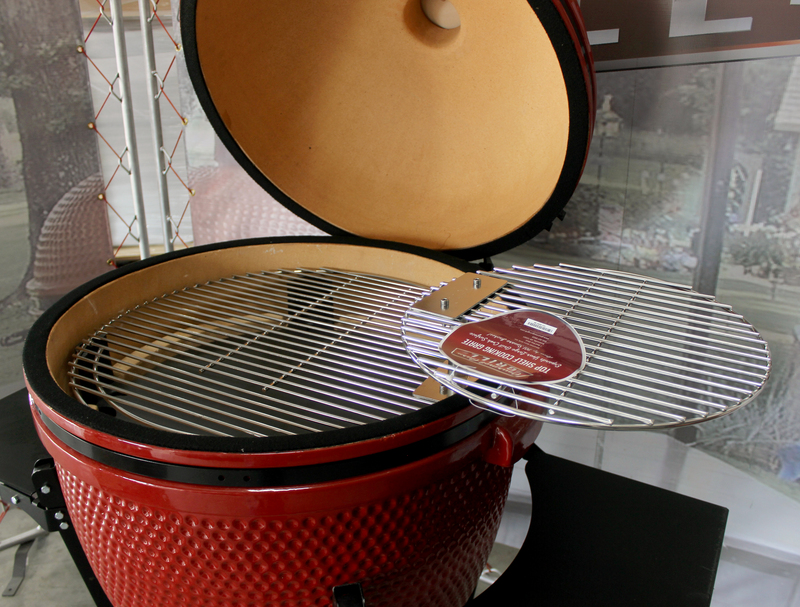 For the person who is already a fan of our Gourmet Guru Grills, you can upgrade their existing ceramic grill or stand. The Guru’s Choice Deluxe Cabinet is the Cadillac of our cabinets. For starters, It’s made from high-quality, real cypress wood. The ceramic grill cabinet also has plenty of storage space. The two cabinets can hold your must-have grilling accessories while keeping it nice and hidden. The clean look along with the ability to move the cabinet from place to place makes this Gourmet Guru Grill cabinet one of our top picks. Gourmet Guru Grill even has you covered if you don’t know or aren’t exactly sure of the ceramic grill your special someone uses. 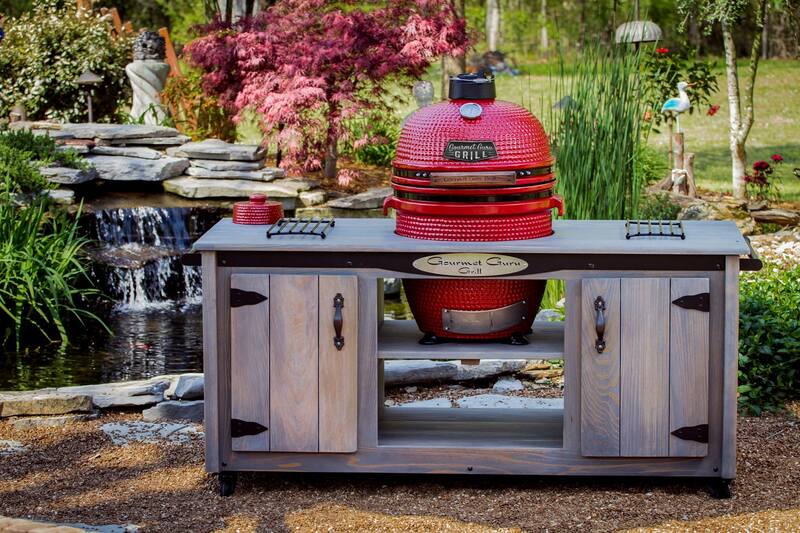 Guru’s Universal Table fits all Guru grills and many other kamado-style grills. And with the metal table trimmed in beautiful cypress wood, it is sure to fit many different styles. Our list wouldn’t be complete without talking about some of our favorite accessories. It’s really difficult to just choose 1...or 3. Accessories are great for those Guru grillers who have almost everything, and they make great little presents to place under the tree or even in a stocking. The top shelf cooking grate is our newest accessory and one that you MUST put in your grilling arsenal. It adds 201 inches to your cooking surface. The top shelf is also great for those recipe calling for indirect heat. The top shelf grate fits our large and extra-large Gourmet Guru Grills. It also compatible with any kamado style grill. When it comes to grilling, everyone knows that it’s all about the flavor. Our Triple G Sauce gives you a flavor you can’t find anywhere else. It’s sweet but has just enough kick to keep you wanting more. The best thing about our ceramic grill is the never-ending possibilities you have when cooking up your favorite meals. 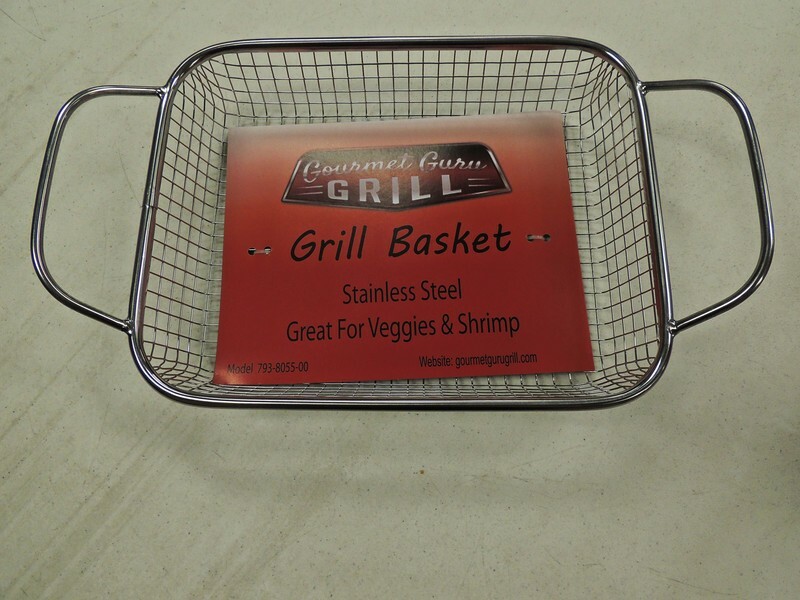 Our accessories also let you experiment with different ways to cook and are great Check out our Stainless Steel Grill Basket. It’s great for grilling up vegetables and small shrimp. You can even toss in a few wings. You can also use it on other kamado-style grills. The best thing about this guide is that it can be used all year long. Pull things from this list to surprise dad on Father’s Day or get mom a new cabinet for her outdoor kitchen area for her birthday or just because. You can also skip the lines by making your purchases online at GourmetGuruGrill.com. But if you are in a hurry and need these gifts now, then visit one of our authorized Gourmet Guru Grill Dealers. To find a dealer near you, click on WHERE TO BUY on our website or click here.